GLOUCESTER, Massachusetts, December 19, 2016 (ENS) – Working together, the National Oceanic and Atmospheric Administration, NOAA, and the Mid-Atlantic Fishery Management Council have designated a large offshore area in the Mid-Atlantic Ocean for the protection of deep-sea corals. The new coral-protection zone encompasses more than 38,000 square miles of federal waters off the Mid-Atlantic coast, an area roughly the size of the state of Virginia. 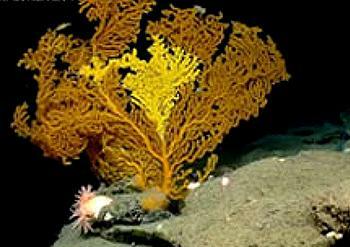 The Council approved the Deep Sea Corals Amendment to the Mackerel, Squid, Butterfish Fishery Management Plan in 2015 in order to protect deep sea corals from the impacts of bottom-tending fishing gear in the new Frank R. Lautenberg Deep-Sea Coral Protection Area. Most deep sea corals are slow-growing and fragile, making them vulnerable to damage from fishing gear that contacts the sea floor. This final rule designates a large “deep sea coral zone” in areas where corals have been observed or where they are likely to occur. Under the Magnuson-Stevens Act, regional fishery management councils have the authority to designate zones where fishing may be restricted to protect deep sea corals. Although corals have been protected as essential fish habitat, the Mid-Atlantic Fishery Management Council is the first of the eight U.S. regional fishery management councils to use this new discretionary authority. 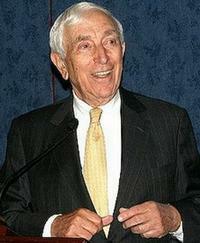 The Council named the protected area in honor of the late Senator Frank Lautenberg, a five-term U.S. senator from New Jersey, who was responsible for several pieces of ocean conservation legislation, including the MSA provisions allowing for deep sea coral protections. 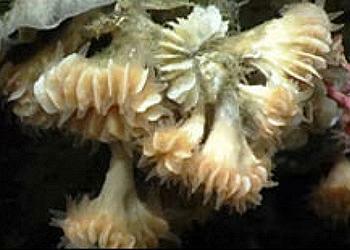 The Frank R. Lautenberg Deep Sea Coral Protection Area encompasses areas of known or highly likely coral presence in underwater canyons or slope areas along the continental shelf edge, as well as deeper areas where the presence of corals is uncertain, but where little or no fishing effort currently occurs. Because deep-sea corals live in very deep, hard-to-reach places, finding and studying them is very expensive, says David Stevenson of NOAA’s Greater Atlantic Region, Habitat Conservation Division. Still, on the U.S. Atlantic coast, deep-sea corals have been the subject of a recent and intensive NOAA-funded research program. Based on the results of a model that predicts the locations of the most suitable coral habitats, NOAA conducted a series of research surveys during 2012-2015 to map coral habitats and assess their distribution and abundance, said Stevenson. The data provided by these surveys and by the predictive model were used to determine what areas should be closed to bottom trawling and where the boundaries for those areas should be. Habitat staff from the Greater Atlantic Region worked closely with staff from the Council and the Northeast Fisheries Science Center to select candidate deep-sea protection zones. The success of the Council’s effort to protect deep-sea corals was due to collaboration between the fishing industry and environmental organizations that championed the cause of deep-sea coral conservation, Stevenson said. Faced with concerns from fishermen, who agreed that corals deserve protection from fishing, but did not want to give up important fishing grounds on the outer shelf, the Council organized a workshop to try and resolve their differences. After negotiation and compromise, with some help from scientists and habitat managers, industry spokespeople and representatives of the environmental groups agreed to a new set of area boundaries that were approved by the Council two months later. Within the protected area, commercial fishermen are prohibited from using most types of bottom-tending fishing gear such as trawls, dredges, bottom longlines, and traps. The rule does not apply to recreational fishing, commercial gear types that do not contact the sea floor, or the American lobster trap fishery. An exemption is also provided for the deep sea red crab commercial trap fishery. Vessels may transit through the area if fishing gear is stowed and not available for immediate use. Officials praised former Council Chair Rick Robins, who led the effort to establish the large protected area, and the Council’s current Vice Chairman Warren Elliott, who chaired the two-day workshop where all stakeholders negotiated to agree on the boundaries of the area to protect.